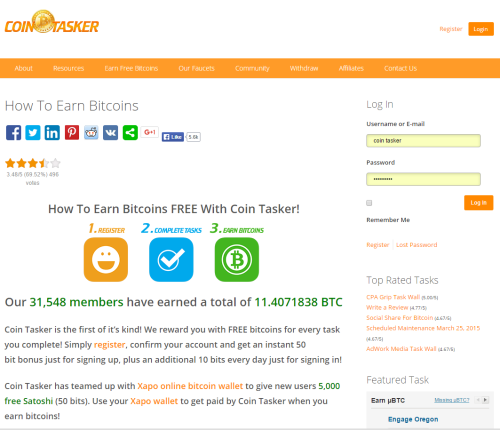 Coin Tasker is the first true bitcoin social network, paying members free bitcoin for making friends, adding status updates, likes, forum posts, daily logins, and completing any of our thousands of micro tasks including watching videos, downloading apps, and completing surveys and trials. Está muy guapa, pero se gana poca pasta....bueno satoshis. this is very useful and easy to use.